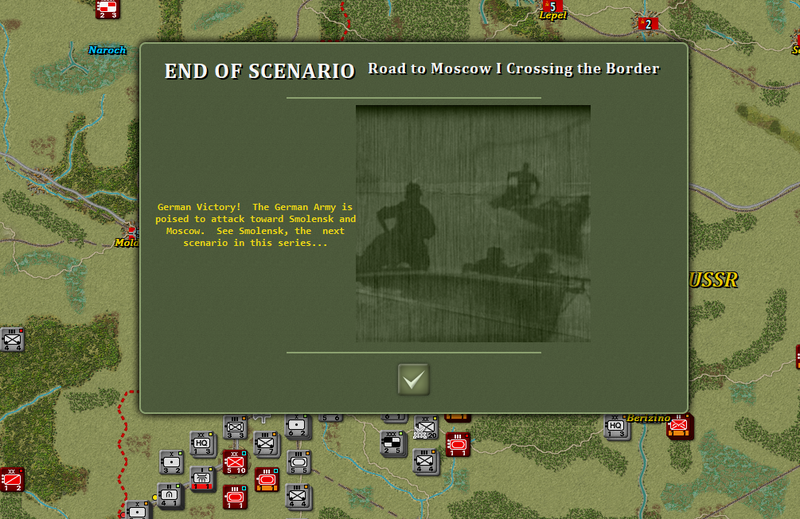 This post completes the After Action Report AAR of the TOAW 4 scenario Road to Moscow, with a length of twelve turns. This map displays the main directions for the attack, there is an inner encirclement plan and an external encirclement centered at Minsk. The offensive should, however, reach the river beyond Minks and conquer the river crossings. 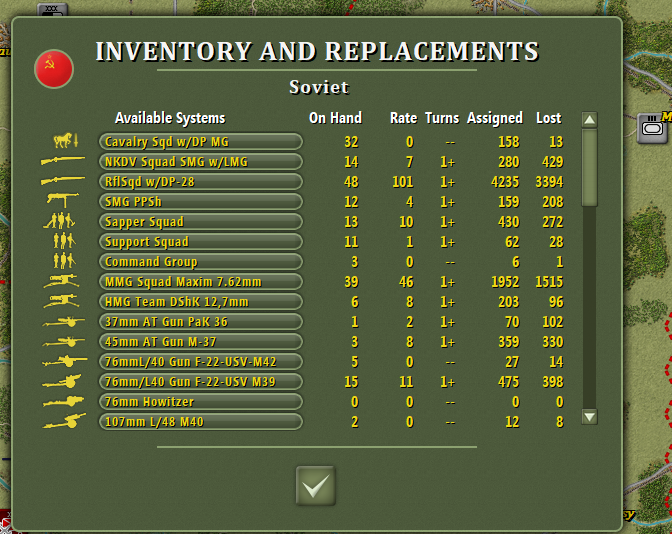 Extremely high loses of Soviet infantry, with more than 3394 squads and more than 1500 MMG squads. 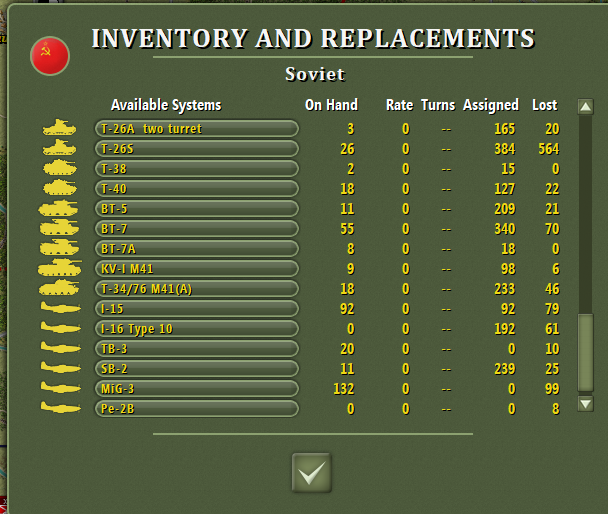 Still BT-7, KV-1 and T-34 remain in significant numbers. The air force has suffered less damage, probably because using far away airbases. 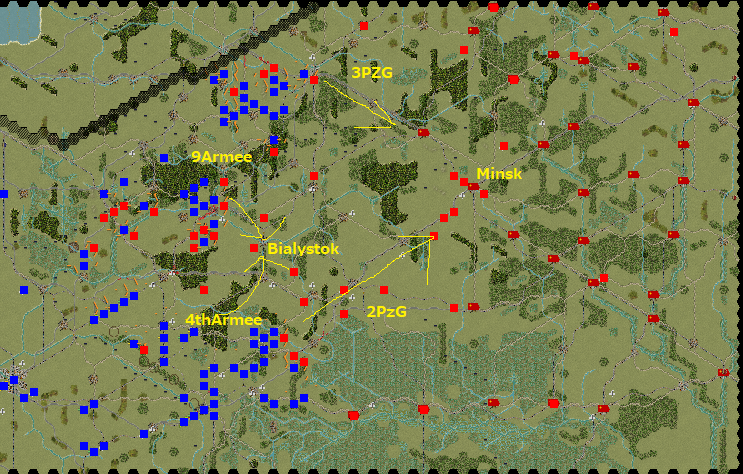 3rd Pz Grorup is at the skirts of Minsk. 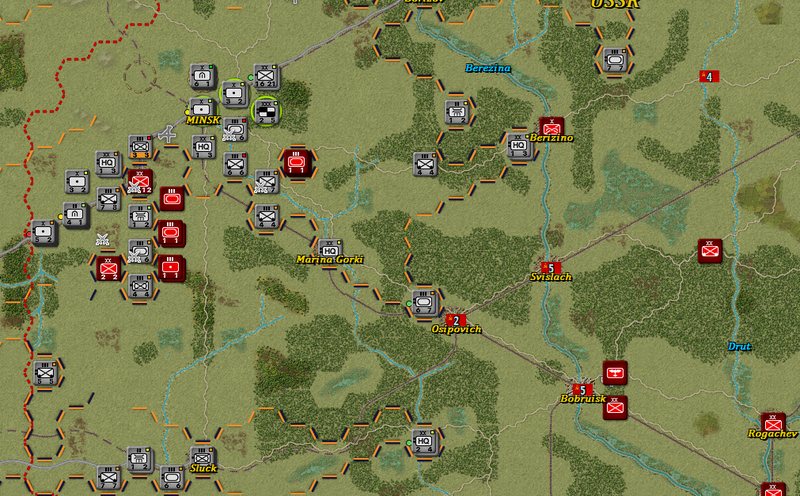 The 2nd Pz Group has progressed slowly and faced larger resistance in the main road that drives to Minsk. 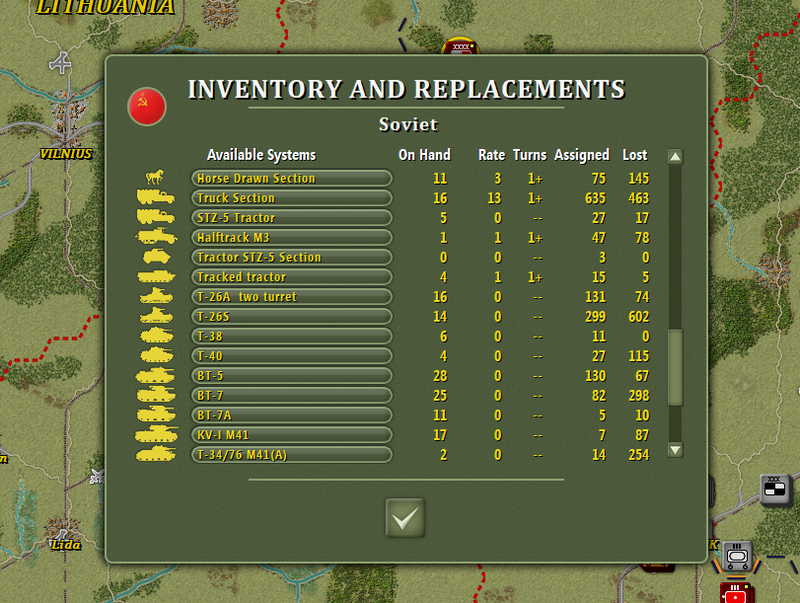 Result of a big pocket of Soviet forces during Turn 8. 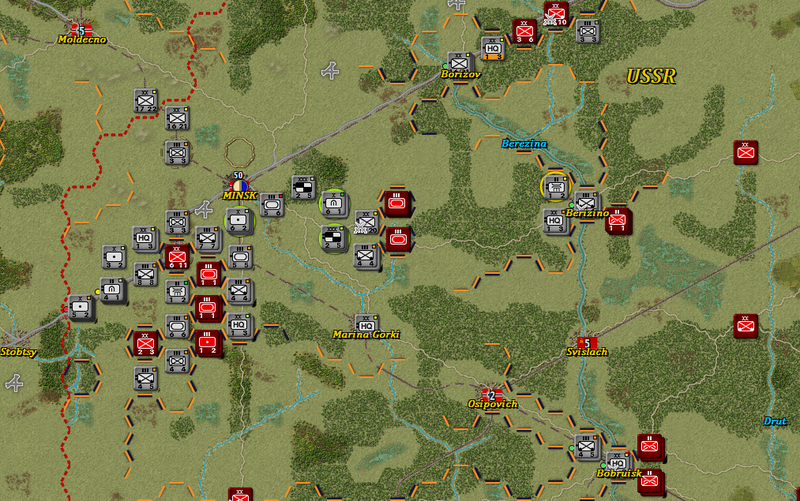 Minsk was occupied in ruins on Turn 9. 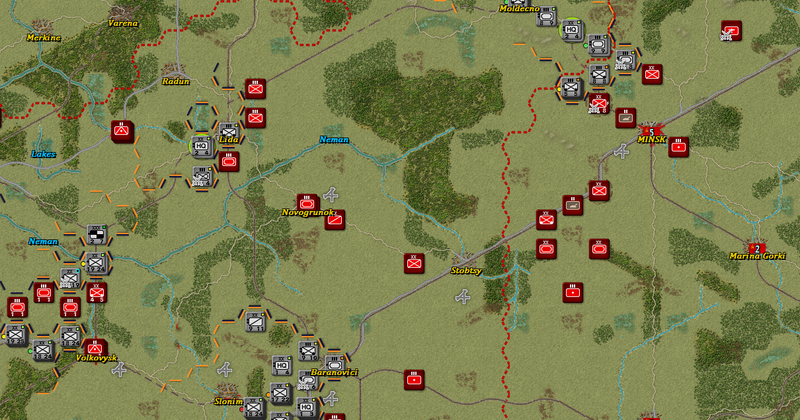 Defensive battles against the 2nd PzGroup resulted in the destruction of the rest of Soviet tanks. 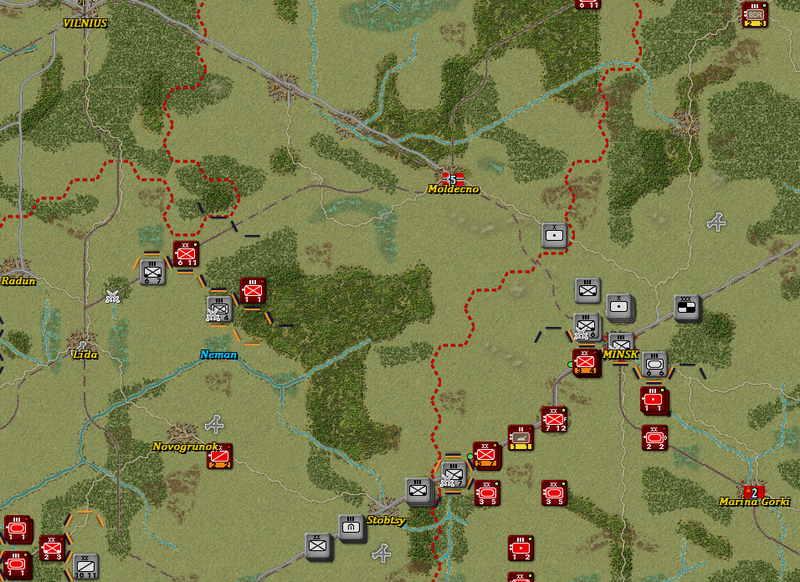 The infantry loses is dramatically increasing. Berezina river crossings are vital. 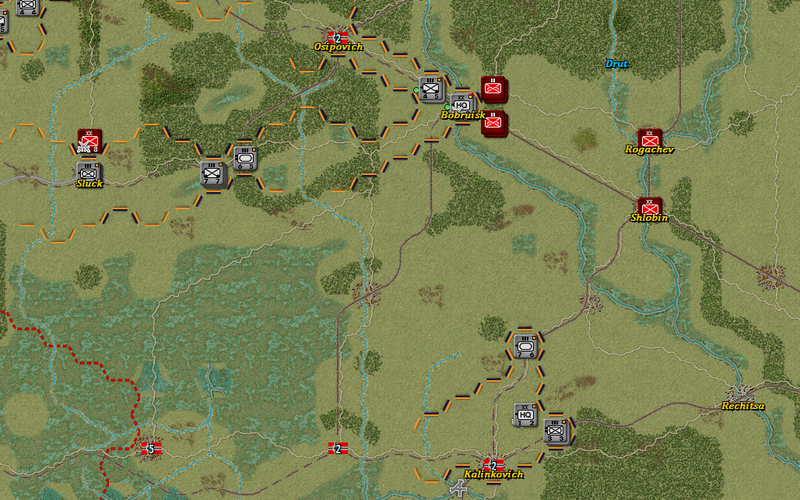 In last turn, elements of two panzer divisions conquered the bridges. In the south, the 3rd Pz Division progressed beyond Kalinkovich. 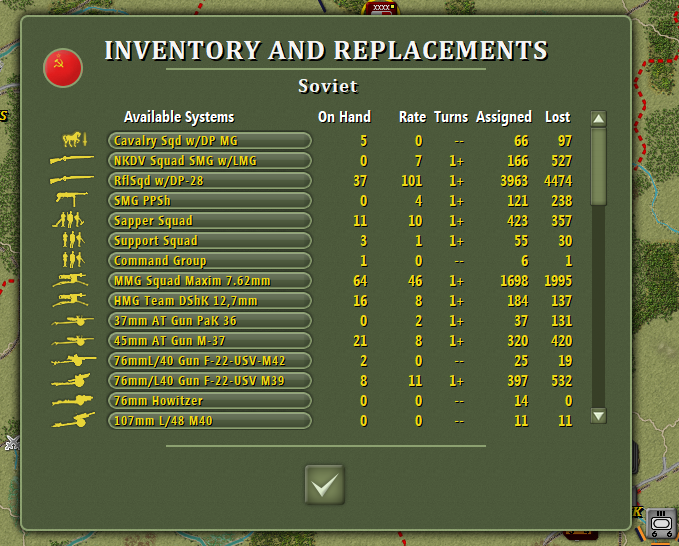 More than 5900 infantry squads and most of the tanks were lost for the Soviets. Approximately, the German lost 75 tanks and 700 infantry squads. 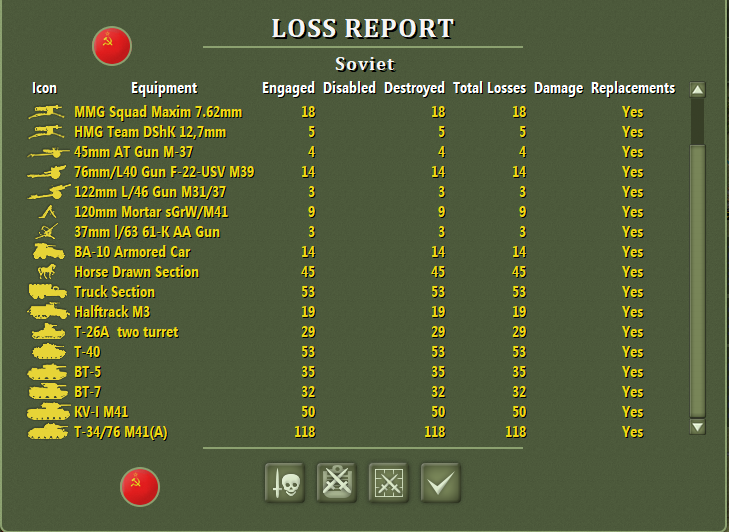 15% loses were related to the PzGrp squads, a bit heavy toll. 40 planes lost, including 5 Do-17 and 10 Me-110, not shown in the report.